Rising energy costs coupled with federal, state and local financial incentives are making hydropower projects financially attractive for public water systems. Rising energy costs coupled with federal, state and local financial incentives are making hydropower projects financially attractive for public water systems. And hydropower has become even more attractive because of new technologies and reduced production costs. 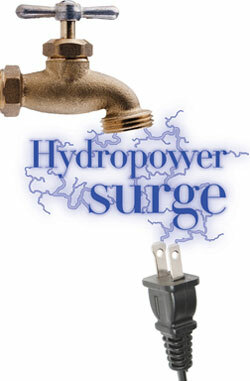 Often hydropower is associated with large-scale projects such as dams and reservoirs or major river diversions. However, small conduit hydropower can be installed potentially anywhere pressure must be reduced in a conveyance system, such as at the headworks of water treatment plants, wastewater treatment plant outfalls or at any pressure-reducing station. Small hydropower projects do not need to be located near a river or dam. Several communities recently have begun creating energy at existing water facilities. They are locating hydropower turbines at pressure-control facilities to take advantage of energy that would otherwise be lost and channel it to power the facilities or sell it back to the grid. The projects are saving money and improving energy efficiency at water facilities. A decade ago, officials at the San Diego County (Calif.) Water Authority decided that hydropower would not only improve conveyance of raw water, but also take advantage of excess pressure in the pipeline system. The Rancho Penasquitos Pressure Control and Hydroelectric Facility is part of the extensive water distribution system that the county’s water authority owns and operates. Located along a major aqueduct and connected to a 108-inch-diameter untreated-water pipeline, the facility helps transfer water from a system of reservoirs, interconnected pipelines and pumping stations to provide more flexibility of water deliveries to the region. Its function is to control pressure and flow, but its location on a hill with a steep cross slope also enables it to generate renewable energy through a 4.5 megawatts turbine-generator. To encourage the community’s acceptance of the facility, which began operating in January 2007, the project team solicited public opinion for its siting decisions. It was helpful that much of the facility is underground because of its hillside location, but the above-grade portion was aesthetically designed to match the surrounding architecture. The facility also generates approximately $1.1 million annually through electricity sales. 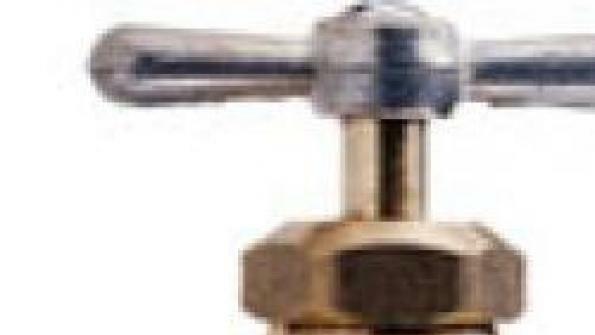 The annual revenue will help to stabilize water rates and offset the authority’s operations and maintenance expenses. “The facility provides multiple benefits that include generation of enough environmentally friendly power back to the system to satisfy the annual electricity demand from approximately 5,000 homes,” says San Diego County Water Authority Construction Administrator Mike Wallace. The Project 7 Water Authority wholesales potable water to municipalities and rural areas in Colorado’s Uncompahgre River Valley. The authority owns and operates a raw water reservoir, raw water pipeline, water treatment plant, and 30 miles of potable water transmission piping. For a decade, authority officials knew that they had several potential hydropower opportunities at locations with existing pressure-reducing valves. However, hydraulic constraints and complications with delivering the potential power back to an active grid kept them from creating a renewable energy project until 2007. That was when the authority decided to update its water treatment facilities, and plans called for increasing the raw water-delivery capacity. Additional pressure would be needed for delivery and to meet future plant peak demands, but it would be necessary to dissipate the additional pressure during normal flows, which created the possibility to capture the excess hydraulic energy. To tap that energy, the system had to be optimized for turbines of two sizes: 60 and 110 kilowatts (kW). The turbine generator units were designed to fit within the new flow-control facility that increases the raw water capacity to the plant. Power generated from the new units is connected and consumed through a net metering agreement with the Delta-Montrose Electric Association (DMEA), a rural electric cooperative in Montrose, Colo., which allowed Project 7 to consume the energy within its own facilities. That allowed Project 7 to bypass a complicated connection to the nearby grid while maximizing the value of the recovered energy. Colorado municipal electric utilities, such as the DMEA, are required to use renewable energy, including hydroelectric power, and energy recycling to account for 10 percent of retail sales by the year 2020. The incentives to comply with that standard, as well as advances in small turbine manufacturing, have made it more feasible to capture energy in raw water delivery networks. Project 7 placed the new turbine-generator units online in November 2009. Project 7’s renewable energy facility produces approximately 1,400 kilowatt-hours (kWh) per day of energy. Although the authority does not receive any revenue directly from the energy generation, it is saving approximately $4,000 per month on its electricity bill — 85 percent of total plant-wide electricity costs. Locating the renewable energy project on the existing water treatment plant site allowed the project to become financially viable, not only because there was adequate space for the new turbine-generator units, but also because the power delivery method was greatly simplified. Authority officials expect to fully recover the investment in hydropower within seven to 10 years. The Tarrant Regional Water District (TRWD) in Tarrant County, Texas, saw its hydropower opportunity in 2009 with its Arlington Outlet Hydroelectric Project. TRWD is a major raw water supplier to the Dallas-Ft. Worth area, and its extensive system includes a network of reservoirs, pipelines and treatment plants. Located on two parallel gravity pipelines, approximately halfway between the reservoirs and water treatment plant, the Arlington Outlet is used as a pressurized discharge point to supply Lake Arlington. The outlet already had a pressure-reduction facility, which satisfied the small conduit need for pressure as well as running water. Arlington Outlet has a design capacity of 200 million gallons per day (mgd). Study of the system showed that the delivery flows to Lake Arlington could be changed from varying throughout the day to compressing them into a block flow for part of the day, with excess flows routed through the pressure-reduction facility. That resulted in an optimized system flow to Lake Arlington of 80 mgd with 154 feet of head (pressure). Construction is expected to be complete in late 2012. The 1,600-kW hydroelectric facility is expected to provide 6.5 gigawatt-hours of renewable electric energy annually, which the district will sell to the grid. “Implementation of a hydroelectric turbine as part of our water conveyance system is consistent with our overall sustainability approach to projects,” says TRWD Deputy Director of Engineering Ed Weaver. “With energy being our largest line item operating costs, we are constantly looking for ways to optimize our energy consumption.” The cost for the hydroelectric project is estimated at $7 million. As water utilities seek to become more efficient with energy and water, hydropower could be their next step in the journey to recover energy that would otherwise be lost. Communities that study their existing dams and water/wastewater systems with such opportunities in mind can efficiently tap into the power of water to reap economic rewards. Todd Briggeman is Small Hydro Community of Practice leader, David Egger is head of Black & Veatch‘s Heavy Civil group, and Bruce Duncan is a senior civil engineer in the Kansas City, Mo., office of Black & Veatch. Pat Sullivan is an engineering manager in the Denver, Colo., office of Black & Veatch.